I did a fresh install of 12.10 on a new SSD and used the installer to partition the drive. I had chosen 'Something Else' for installation type (http://www.debianadmin.com/wp-content/gallery/quantal/4.png) because I had 12.04 installed on another drive. 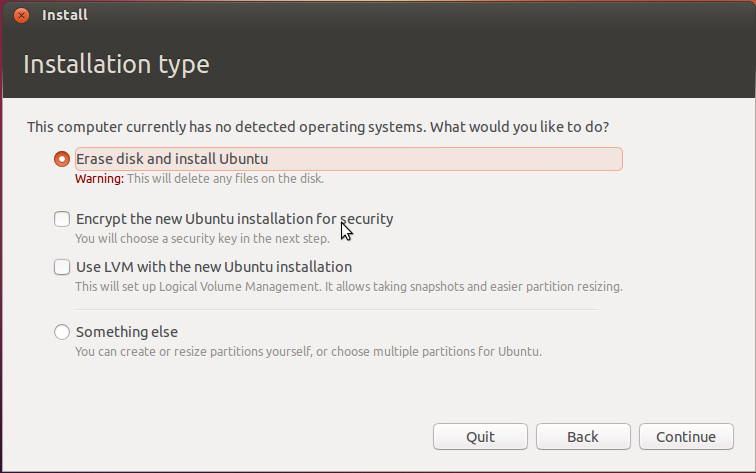 The installer created a GPT type partition table. When I rebooted the system would not boot from the drive because the BIOS was non-EFI. The installer should try to detect this situation and prevent it. When I ran Boot Repair it was able to tell me I had a GPT drive on a non-EFI BIOS with no Boot BIOS partition, so it is possible. Yes, this would save a lot of people headaches, and a lot of bug reports being filed.